If you’re looking to adopt a dog or cat, have lost or found a pet, or need to make an appointment at our veterinary clinic, be sure to check our opening hours before you visit us this festive season. 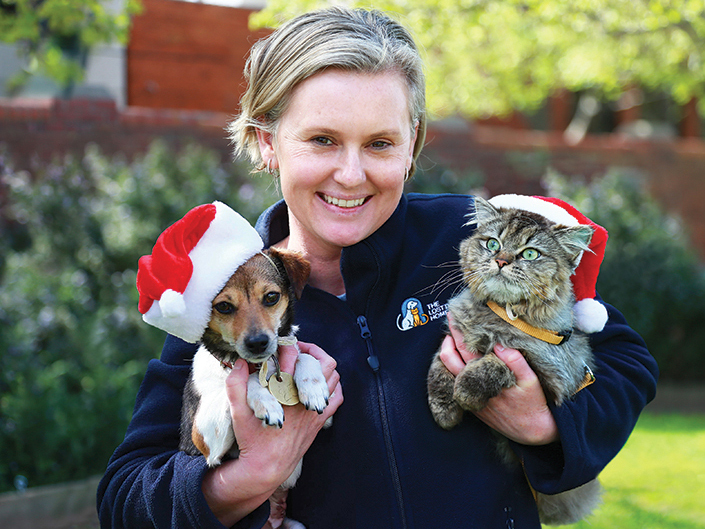 National Pet Register will be operating its lost pet recovery service over the Christmas and New Year season. We appreciate your patience during this busy time while we work at reuniting lost pets with their owners. If your enquiry relates to a lost or found pet, please contact us on 1300 734 738 at any time. If your enquiry is not urgent, you may prefer to get in touch with us before 10pm on Saturday 24 December (Christmas Eve) or from 8am on Monday 26 December (Boxing Day) when your enquiry can be dealt with promptly. Opening hours for all other days can be found here. On behalf of all of us here at the Home, we wish you and your pets a very Merry Christmas and a safe and happy New Year!